Millennials have completed more home-improvement projects over the past 12 months than any other generation. Despite increased home-renovation activity by millennials, they still spend the least on projects, while baby boomers spend the most. Tight inventory conditions and rising mortgage rates should cause both remodeling activity and spend to grow in the coming years. Having either purchased lower-end homes in need of renovations or unable to move up due to tight housing inventory conditions, millennials are leading the charge when it comes to home remodeling, though they are not the biggest spenders. 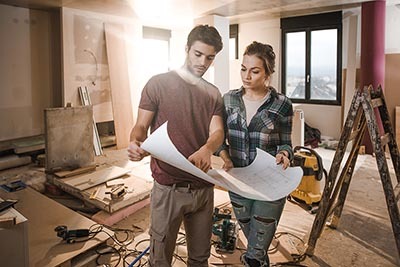 Those are two of the key findings from HomeAdvisor’s 2018 TrueCost Report, which says that millennials — defined as those between the ages of 24 and 38 — have completed more home-renovation jobs than any other generation over the past year. Millennnials tackled 18 percent more remodeling jobs than Gen Xers and 42 percent more than baby boomers, a shift in trends seen in previous years’ surveys. In another reversal of prior survey results, HomeAdvisor found that bathroom remodels are now common than kitchen renovations among homeowners of all ages. Here again, millennials lead the trend and are twice as likely to complete a bathroom remodel than baby boomers. Even so, baby boomers have spent more than any other generation over the past 12 months, an average of $7,524, compared with the national average of $6,649. By contrast, millennials have been more cost-conscious about renovation budgets than all other generations, spending an average of $5,693. 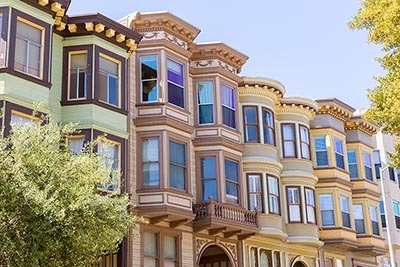 HomeAdvisor expects that the nationwide housing inventory shortage, which is particularly severe in California and the Bay Area, will lead more homeowners to remodel rather than sell and attempt to purchase another property. More than 80 percent of those surveyed have no plans to list their homes over the next year, and half of them are considering upgrading their current residences. Homeowners of all generations say that they plan to spend as much or more on improvements in the coming year as they did in the past 12 months, led by millennials at 82 percent. Finally, the anticipation of rising mortgage rates will likely cause more homeowners to stay put and improve their current homes than buy another one over the next few years, Hunter predicts. Yesterday, the Federal Reserve raised interest rates by one-quarter of a point, and as the Los Angeles Times reports, two more increases are expected for this year. Americans’ primary residences account for about 25 percent of their overall wealth, more than any other asset. Homeownership remains a cornerstone of the American Dream and also helps build strong communities and drive the U.S. economy. Nationwide, the homeownership rate remains below its long-term average of 66.3 percent. 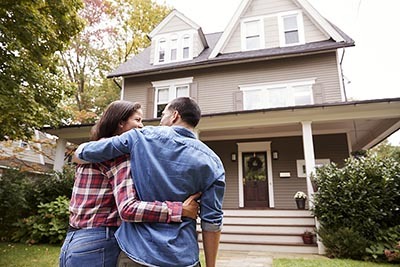 June is National Homeownership Month, and with it comes several reminders as to why owning a home is so important for Americans. Citing research from the Federal Reserve, the National Association of Home Builders reports that primary residences accounted for about one-quarter of Americans’ overall wealth in 2016, more than any other financial asset. Besides creating wealth, owning a home allows for amassing equity, with Americans having a record-high $14.4 trillion in equity as of the last quarter of 2017. “Homeownership is a primary source of net worth for many Americans, and is an important step in accumulating personal financial assets over the long term,” NAHB Chairman Randy Noel said. But financial security is not the only benefit of owning a home. According to a blog post from Freddie Mac, homeownership remains a key part of realizing the American Dream. 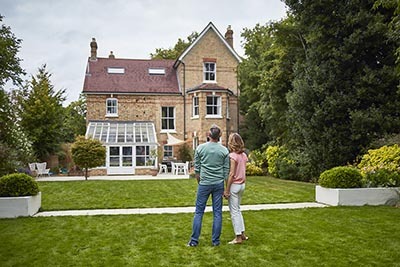 That sentiment dovetails with a report published last fall by home-remodeling website Hearth, which found that seven in 10 Americans said that owning a home was an important part of fulfilling their dreams. “Homeownership changes lives and enhances futures, and many Americans see it as one of their greatest hopes,” National Association of Realtors President Elizabeth Mendenhall said in a statement released last Friday. Freddie Mac says that homeownership also strengthens community bonds, pointing to benefits such as higher rates of volunteerism, safer neighborhoods, and better health. And the housing market is a major driver of the U.S. economy, accounting for 12.3 percent of the country’s gross domestic product in 2017. Still, for all of the benefits of homeownership, current rates remain below the long-term average, a result of tight affordability conditions. The NAHB says that 64.2 percent of Americans own homes, compared with the 25-year average of 66.3 percent. And unless builders ramp up construction activity — which Noel blames in part on the rising cost of lumber — America’s housing affordability crunch is unlikely to improve. According to Black Knight Financial Services’ latest Mortgage Monitor report, if U.S. home price appreciation continues at its current rate and interest rates increase by one-half of a percentage point per year, affordability will drop to an all-time low by 2023. Both homebuyer demand and tight inventory conditions continued in April, holding back sales and causing properties to fly off the market. The latest monthly existing home sales report from the National Association of Realtors says that U.S. properties sold in a median 26 days in April, down on both a monthly and yearly basis and the fastest pace of sales since the organization began tracking that data. Nearly 60 percent of homes sold were on the market for less than a month, a record high. There were 1.80 million homes for sale in April, down by 6.3 percent on a year-over-year basis for the 35th straight month of annual declines. America’s persistent housing inventory shortage drove up the median sales price for the 74th consecutive month to $257,900. A lack of homes for sale also constrained sales, which declined slightly on both a monthly and yearly basis. “With mortgage rates and home prices continuing to climb, an increase in housing supply is absolutely crucial to keeping affordability conditions from further deterioration,” NAR Chief Economist Lawrence Yun said. “The current pace of price appreciation far above incomes is not sustainable in the long run. California’s median single-family home sales price was $584,460 in April, about $10,000 short of its all-time high. The nine-county Bay Area’s home price exceeded $1 million and was up by 14.1 percent year over year. San Mateo was California’s most expensive real estate market in April, with a median sales price of $1.77 million. Golden State home prices could eclipse their previous peaks within the next few months, while the nine-county Bay Area continued to record double-digit percent appreciation in April, pushing prices just above $1 million. That’s according to the latest home sales and price report from the California Association of Realtors, which puts the median sales price for a single-family home in the state at $584,460 in April, up by 8.6 percent year over year. California home prices are now only about $10,000 shy of the record high observed in May 2007, and CAR Senior Vice President and Chief Economist Leslie Appleton-Young expects that they will surpass that peak within the next few months. “With a continued imbalance of supply and demand, we’ll likely break previous price records — which many areas have already done — before the summer is over,” she said. 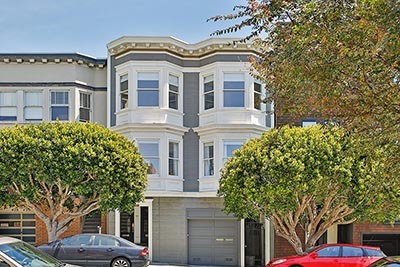 The Bay Area’s median sales price ended April at $1,010,000, marking the first time that it reached the million-dollar mark since CAR began tracking data in 1990, according to the organization’s historical statistics. Home prices in the nine-county region rose by 14.1 percent from April 2017, the 10th consecutive month of double-digit percent annual gains. Six of nine Bay Area counties saw home prices grow by more than 10 percent year over year: Santa Clara (22.8 percent), San Mateo (18.0 percent), San Francisco (17.6 percent), Sonoma (12.7 percent), Solano (11.9 percent), and Alameda (10.8 percent). Home prices posted single-digit percent increases in Contra Costa and Marin counties and declined very slightly in Napa County. Four Bay Area counties remain the state’s only million-dollar-plus housing markets, led by San Mateo, where the median sales price was $1,770,000 in April. San Francisco was California’s second priciest housing market, at $1,650,000 followed by Santa Clara ($1,425,000), Marin ($1,385,000), and Alameda ($969,300) counties. In typical fashion, declining inventory helped fuel California and Bay Area home price growth in April. Statewide, the monthly supply of inventory was 3.2, a slight decline from one year earlier and still heavily tilted in favor of sellers. The nine-county Bay Area had a 2.1-month supply of homes for sale, up from March but down from April 2017. Seven of nine Bay Area counties saw inventory decrease from one year earlier, with San Francisco and Solano posting very modest supply gains. With 1.6 months’ of inventory, Santa Clara County has the state’s most severe housing shortage, followed by Alameda (1.7), San Francisco (1.9), and San Mateo (1.9) counties. The U.S. housing market saw tappable equity increase by the largest dollar amount on record last year, with San Francisco and Los Angeles leading the country for gains. That’s according to Black Knight’s latest Mortgage Monitor, which says that the U.S. housing market gained $735 billion in tappable equity in 2017. Nationwide tappable home equity now stands at $5.4 trillion, a new all-time high and 10 percent above the former peak recorded in 2005. California holds nearly 40 percent of the nation’s tappable equity, about seven times as much as the next closest state. In 2017, San Francisco and Los Angeles each saw tappable equity increase by $80 billion, respective gains of 20 percent and 12 percent and the most in the U.S.
America’s housing market is more competitive than ever this spring, with prices again reaching a new high and no end in sight to tight supply conditions. As realtor.com reports, the median list price for a U.S. home was $280,000 in March, up 8 percent year over year and surpassing the previous high observed in July 2017. Company Director of Economic Research Javier Vivas predicts that if appreciation continues at its current pace, half of the homes on the market will be priced at more than $300,000 by this summer. Conditions remain particularly difficult for first-time buyers, as homes priced at less than $200,000 are rare. If listing-price trends persists, one in 12 homes on the market this summer will be priced above $1 million. The aforementioned consistent home price appreciation and shortage of homes for sale dictate that a significant number of buyers realize that they may need to exceed their initial budgets to close a purchase. A study by Owners.com found that one-third of Americans said that they would bust their budgets to purchase a home, by an average of $16,510. Millennials were the most willing to exceed their homebuying budgets (40 percent) by the largest amount of money ($24,545), followed by 34 percent of Gen Xers, who said they would overspend by $13,996. The report also highlights the importance of retaining the services of a knowledgable real estate professional in such a competitive market. More than 80 percent of recent homebuyers worked with a real estate professional, with millennials being more likely that other generations to need advice and guidance about the homebuying process. While mortgage rates remain low by historical standards, most economists predict that they will steadily climb this year, and millennials are particularly aware of the impact. The latest numbers from Freddie Mac put the average 30-year, fixed-rate mortgage at 4.40 percent for the week ended April 5, down from the previous week but up from one year earlier. Fifteen-year, fixed-rate mortgages mirrored that trend, ending the week at 3.87 percent. It’s clear that Americans realize how higher mortgage rates will affect their abilities to purchase a home. 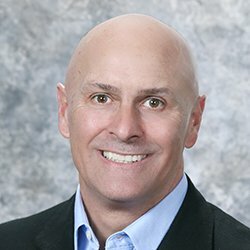 Citing survey results from Toluna Research, realtor.com reportsthat 79 percent of active homebuyers say that rising interest rates will impact their search. For millennials, that number is even higher: 92 percent.